Often times, individuals don’t realize how impactful a great set of gutters are for a home until your existing gutters begin to weaken and falter. Gutters are what keep the structure of your home dry after heavy rain or an intense storm. If your existing gutters are no longer working the way that they should be, it is time for you to invest in replacement gutters. Choosing the right leafless gutter installer in the St. Paul or Woodbury, MN area is just as important as the new gutters themselves. So, don’t be fooled by the gutter installers that don’t have any experience or reviews to back up their work. Instead, team up with Minnesota Leafless Gutters today and take advantage of our more than 17 years of experience in the gutter installation industry. This day in age, it is rare to see the owner of a company visible on job sites and on the other side of the phone when you call the office. At Minnesota Leafless Gutters, that is one of the key aspects of our business model that sets us apart from the rest of the gutter installation companies in the area. When you call our staff to request an estimate or to ask questions about our leafless gutters, you will always speak with our owner, Tim. We don’t believe in salesman that are only interested in boosting their quota for the month so that they can gain commissions. Instead, we want you to feel comfortable with our entire staff from start to finish. Tim will stop by your property regularly to ensure that the leafless gutter installation process is going smoothly. He will also inspect your home to ensure that it meets his expectations. 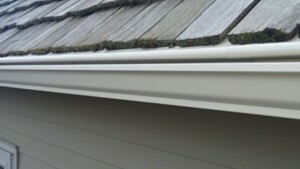 Many of our customers come to us in fear that their new gutters will be an eyesore to the look of their home. At Minnesota Leafless Gutters, we believe that new gutters can actually be the perfect accent to your home. We offer more than 115 color options to help match your siding, soffit and fascia. Additionally, we offer multiple gutter styles to ensure that you have options when it comes to choosing your ideal gutter system. Our experienced gutter installers will help you decide on the best gutter materials and style for your home. When it comes to choosing a leafless gutter installer in St. Paul or Woodbury, MN, there should only be one answer. Minnesota Leafless Gutters is your local, premier leafless gutter installer that has your best interests in mind at all times. To request a free leafless gutter installation estimate, give our crew a call today at (612) 221-0362 or email mnleaflessgutters@gmail.com.